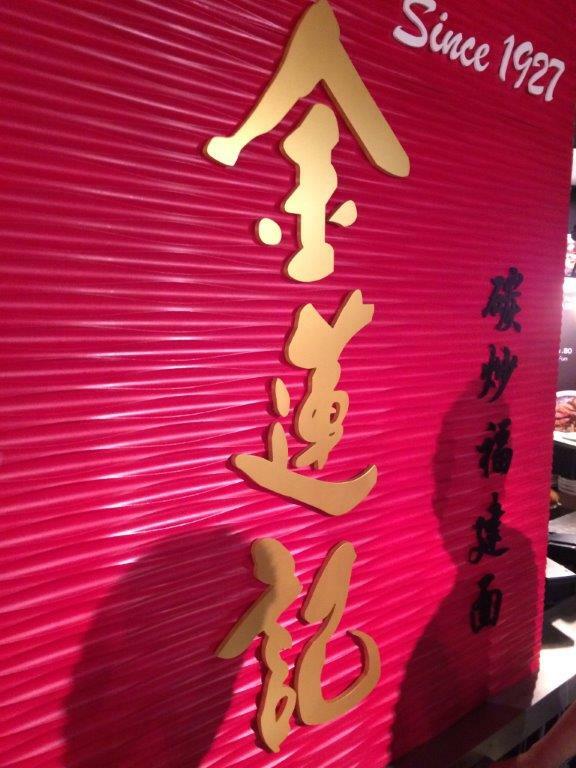 So we decided to check out this place… how wrong can it go when it’s recommended by 蔡澜, the famous food critic/celebrity from Hong Kong. 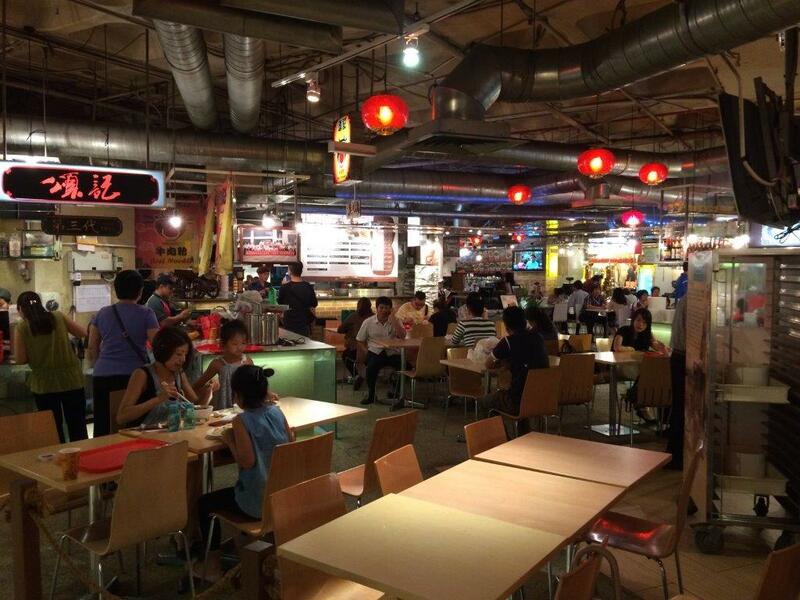 To our surprise, this is suppose to be a foodcourt where they get the best streetfood in Malaysia and house them there! Check out the pics below, and tell me how not to salivate??!! 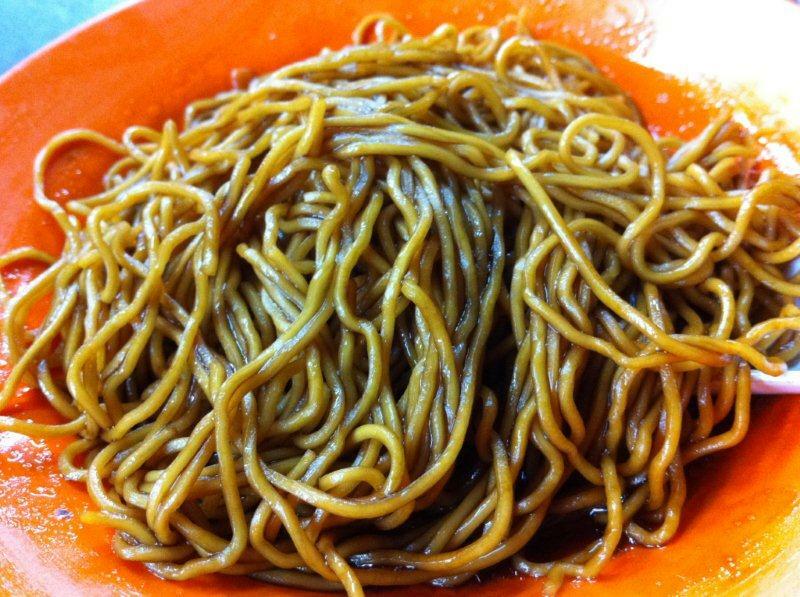 金莲记 Kim Lian Kee – Famous Fried Hokkien Mee since 1927 from the Chinatown of KL. This is a must try! 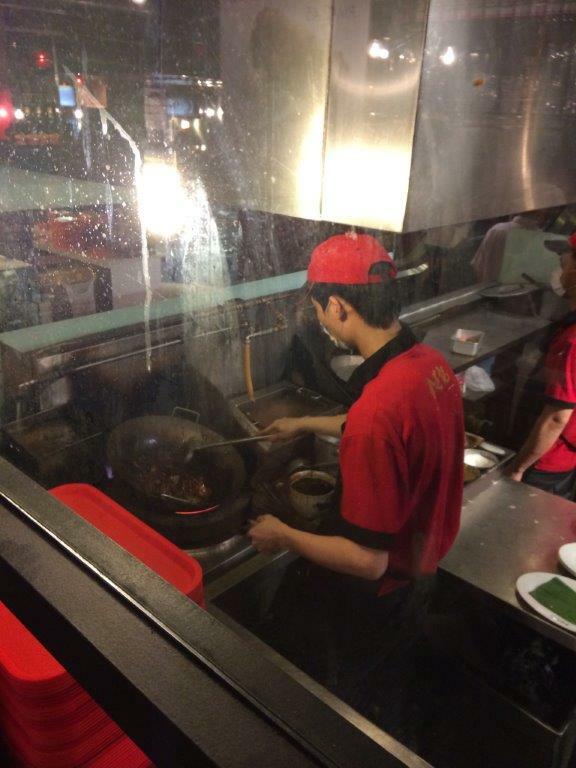 You can see the cook frying your noodles and they fry plate by plate to ensure consistent quality. 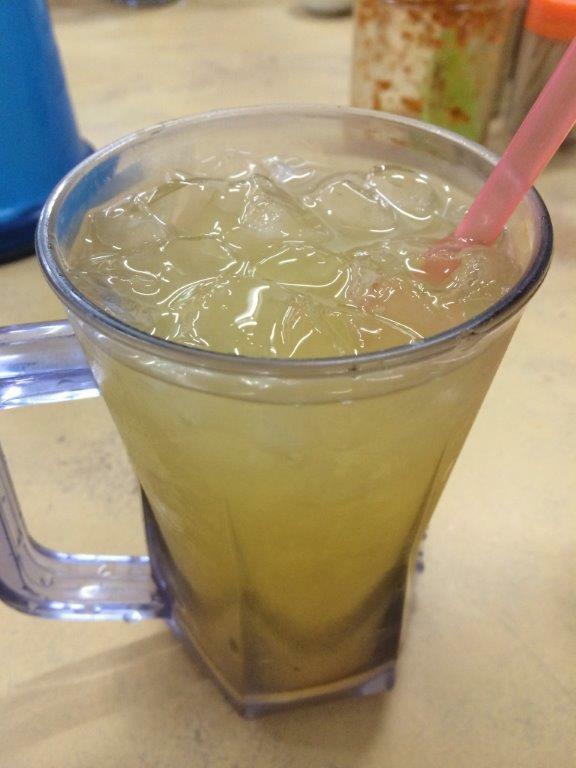 This is damn yummy but at RM$11.50. Normally you can get this outside for RM$6-$8? 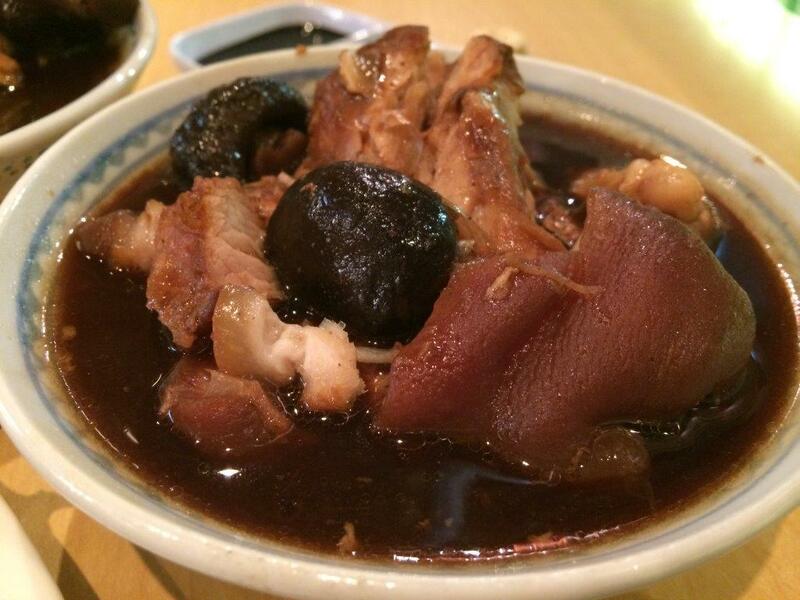 Pin Qian Bak Kut Teh – Another must try if you like the black soup herbal versions. 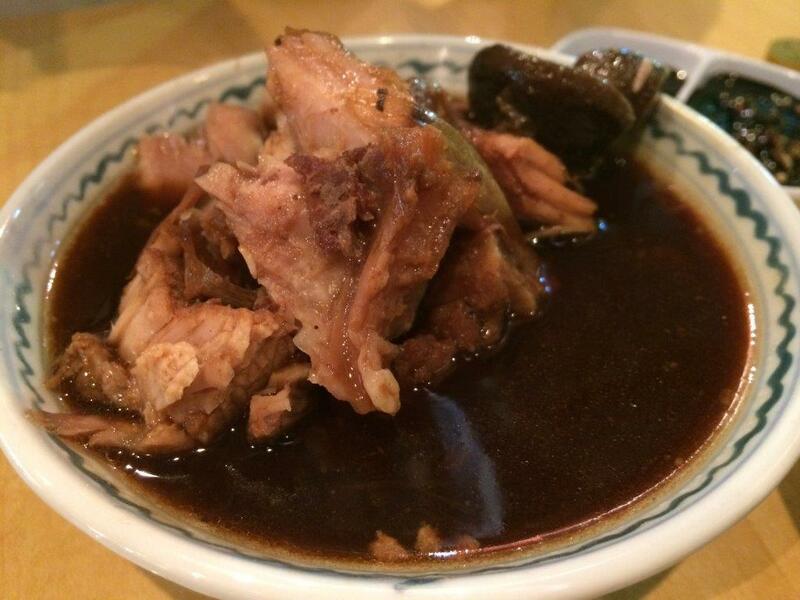 Bak Kut Teh is seriously rich herbal broth. Very yummy but no soup top up. Sad. 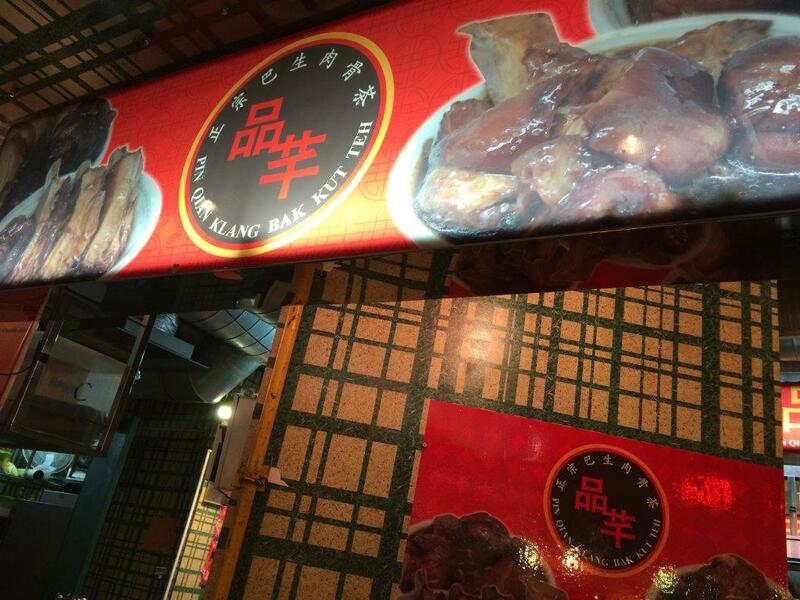 They have Braised Pork Leg as well. Not too bad. 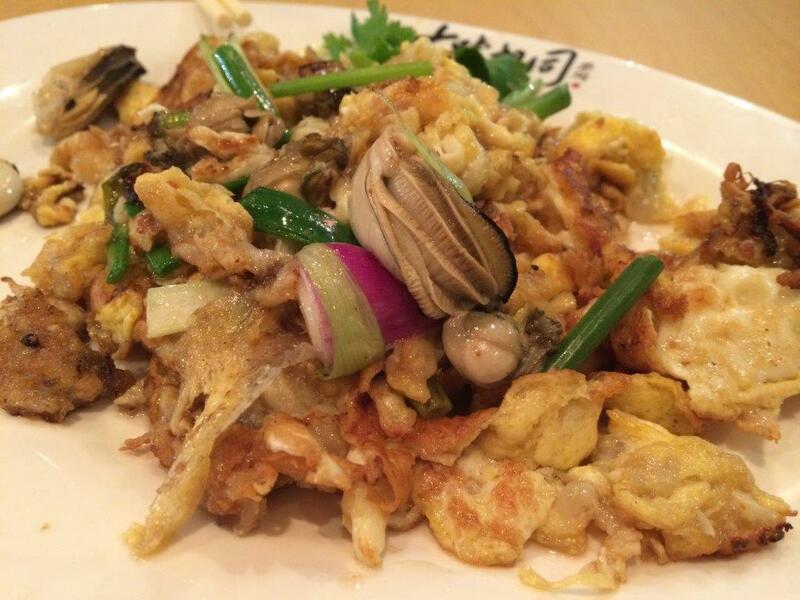 Fried Oyster Omelette – Not too bad, not crispy on the outer layer of the flour. Penang prawn cake and ngoh hiang. Soso only. 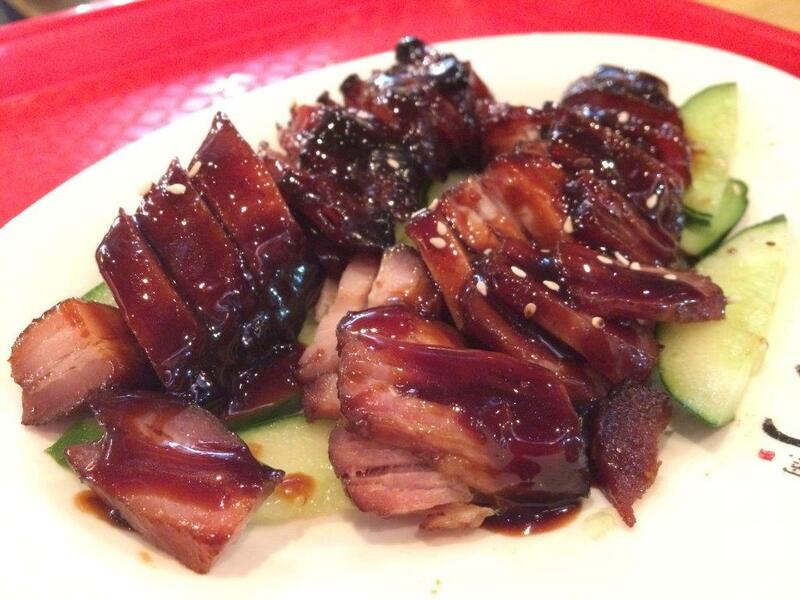 Yummy plate of char siew for RM$20. I find it a little hard though. Maybe been there for some time cos we had it for dinner. 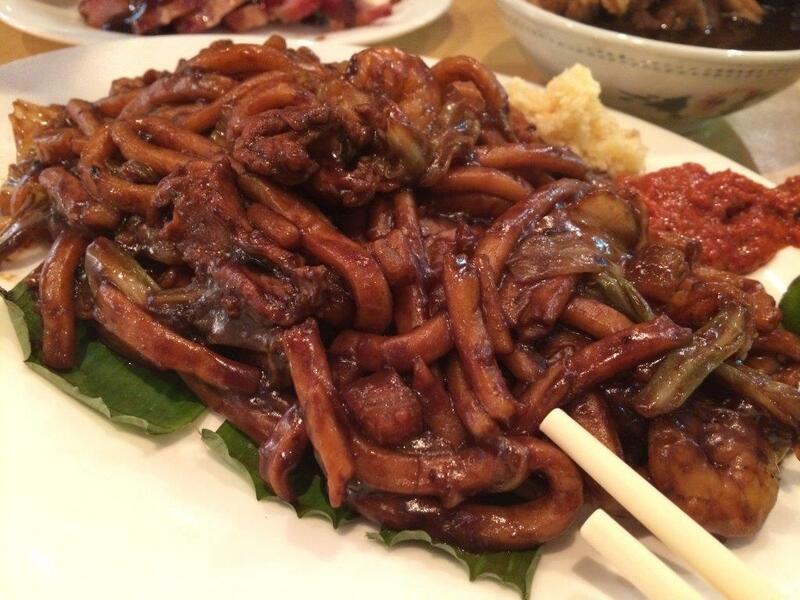 Taste: Hokkien Mee is really good. 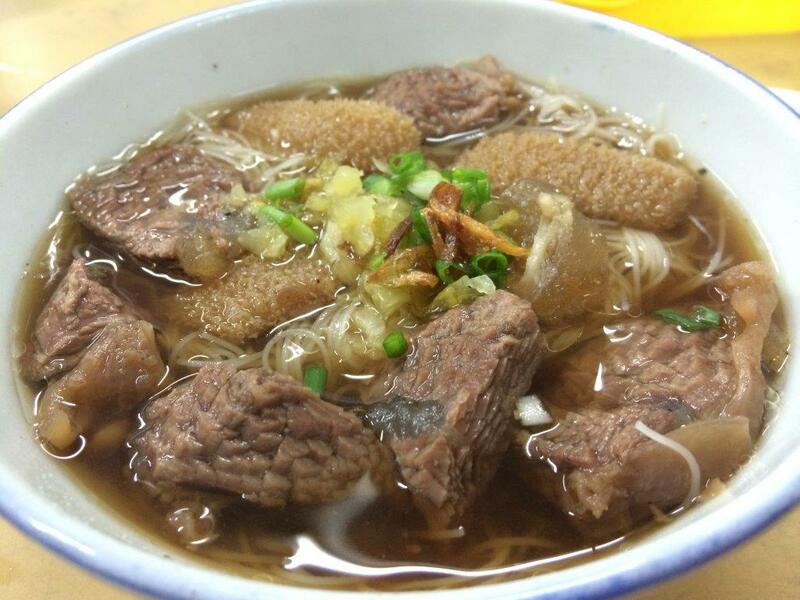 We should have tried the wan ton noodles and beef ball noodles but no stomach space. Bak Kut Teh is good too. Price: All that less than RM$100. Location: Lot 10 basement. Apparently they have one outlet in Guangzhou, China as well. http://www.lot10hutong.com. If you’re driving up to Malaysia this weekend despite the hike in the toll fees at the customs, then this is a place you might wanna check out. Just off the Nortth-South Highway, this place is very accessible if you’re driving. This was my first time here as well and if not for my friend’s recommendation, I will not find this place. 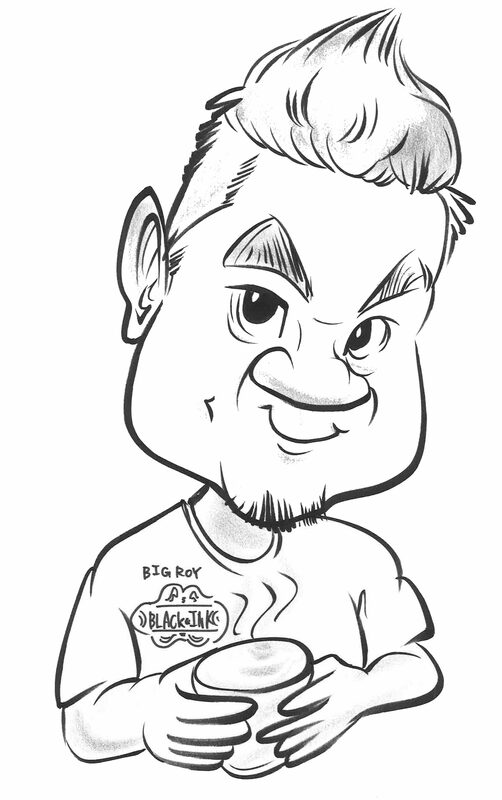 Check out the pics below and comments. A bowl full of goodness! Very tender brisket, damn nice! 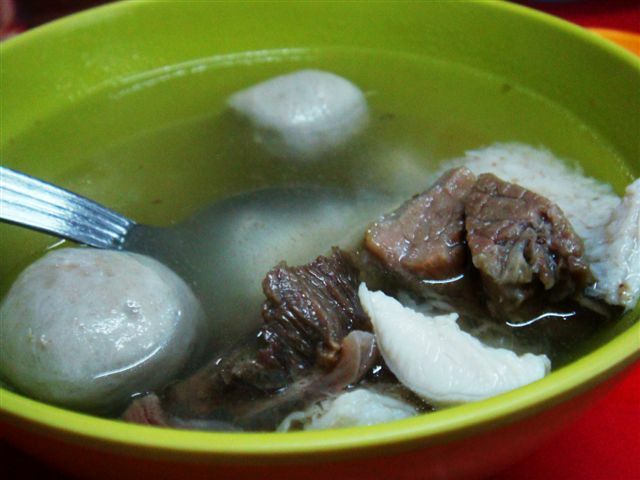 Not a big fan of soup kway teow but when you’re hungry, just eat lah! 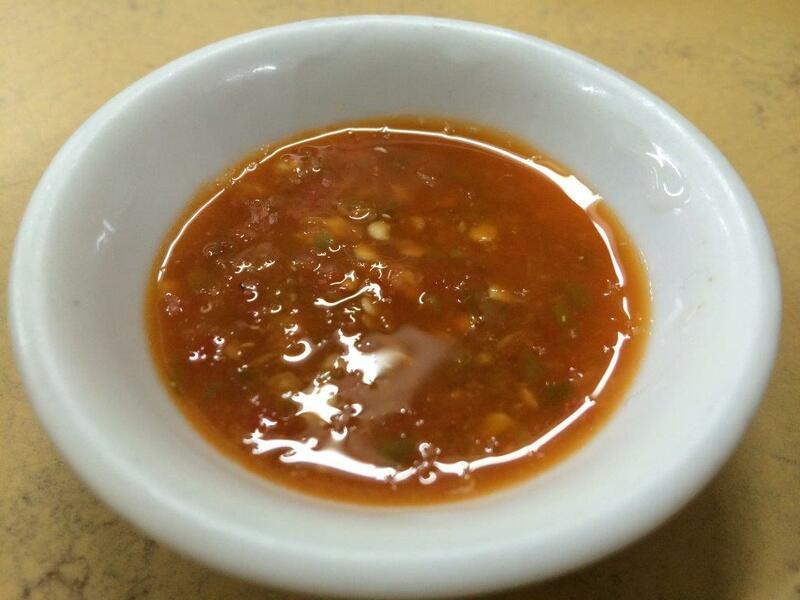 Chilli sauce to dip your beef in. 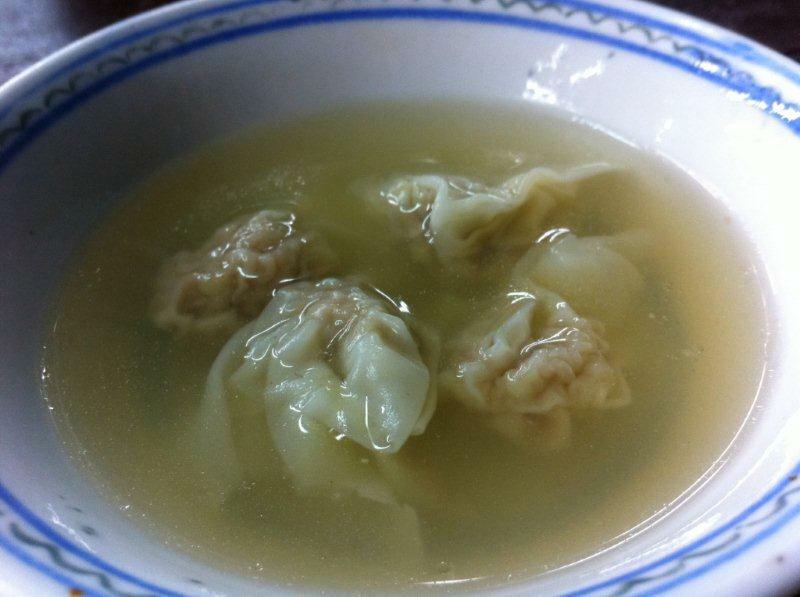 Taste: Broth was thick and yummy! Love it! Ambience: No aircon but quite cooling. 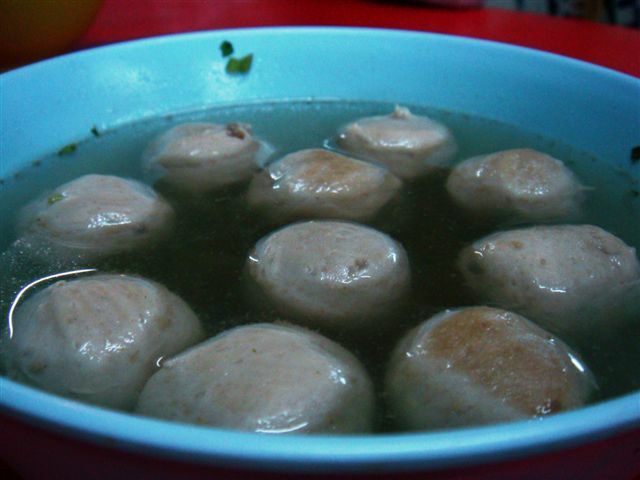 Price: RM$7.00 per bowl. Used to be RM$5.00 not too long ago. 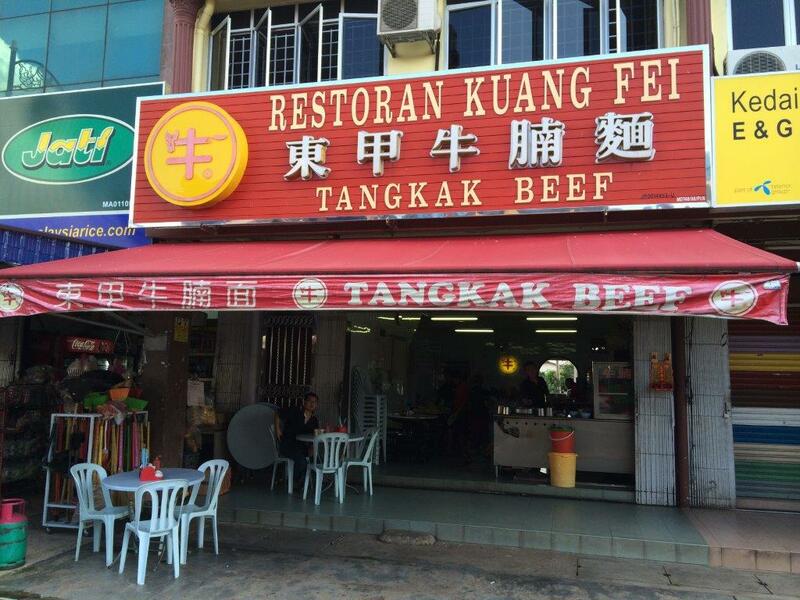 Location: 20, Jalan Solok, Tangkak, Johor. http://goo.gl/maps/jY7pk. GPS: 2.265543,102.540051. Opening Hours: 0900-1700 daily. Non-halal. 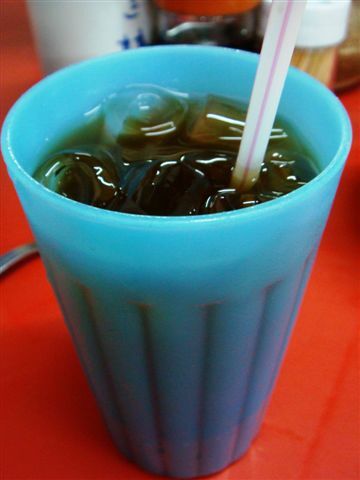 糖水街 means Dessert Street in Chinese and this street has a super long history behind it. When you reach there, there are so many stalls and most of them are duplicates; many similar stalls selling Za Guo Bing (Fruits on Ice), Rojak, noodles, etc. 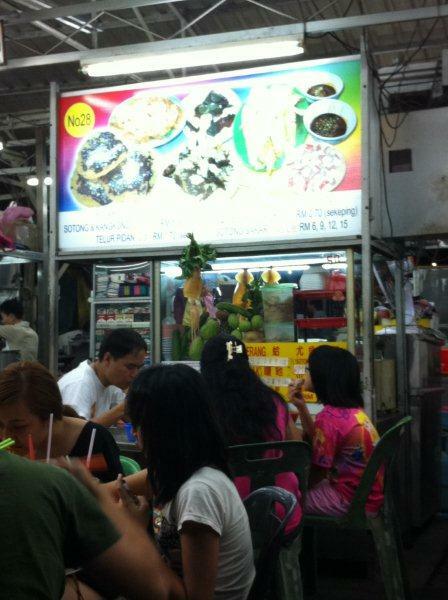 Stalls to avoid are the first few stalls for seafood… you will get chopped ‘cos it’s very expensive. The road is only one way so it’s not hard to know which are the first few stalls. Go towards 3/4 of the road, you will find my favourite rojak, dessert and wan ton noodle stalls. 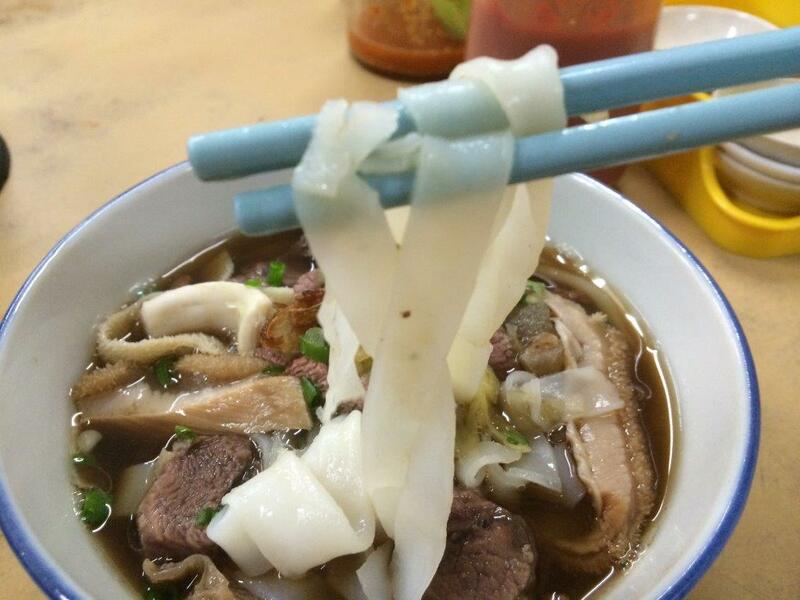 Wan Tons have a very nice authentic taste... 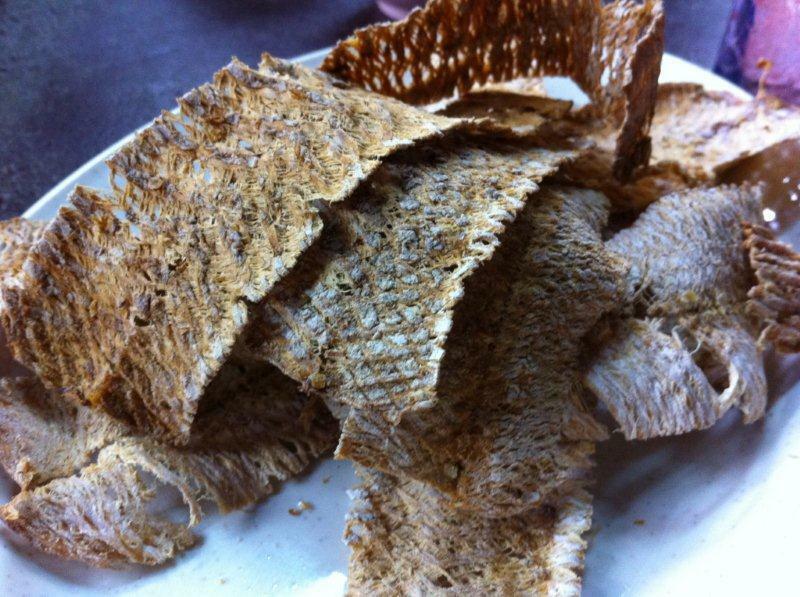 I can only find this taste in a particular stall in Johor Bahru which I have yet to review on. 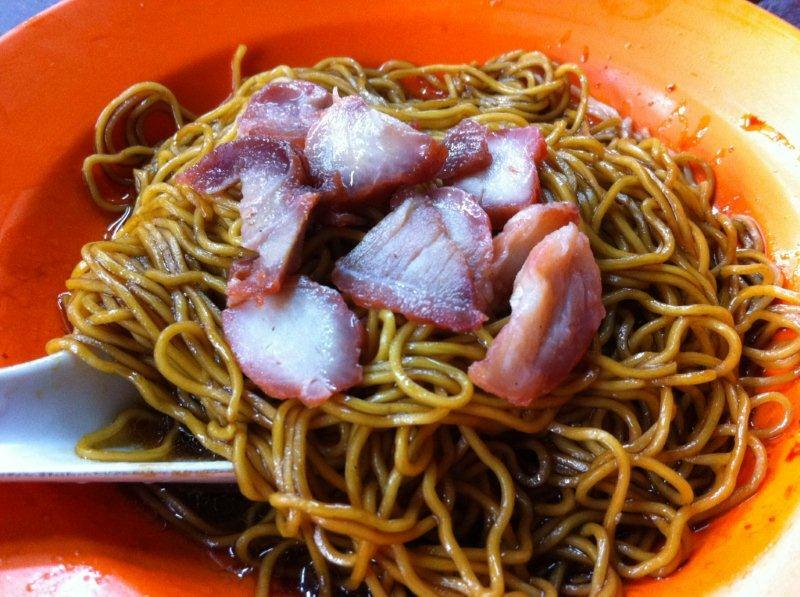 Char Siew you have to add another RM$1... 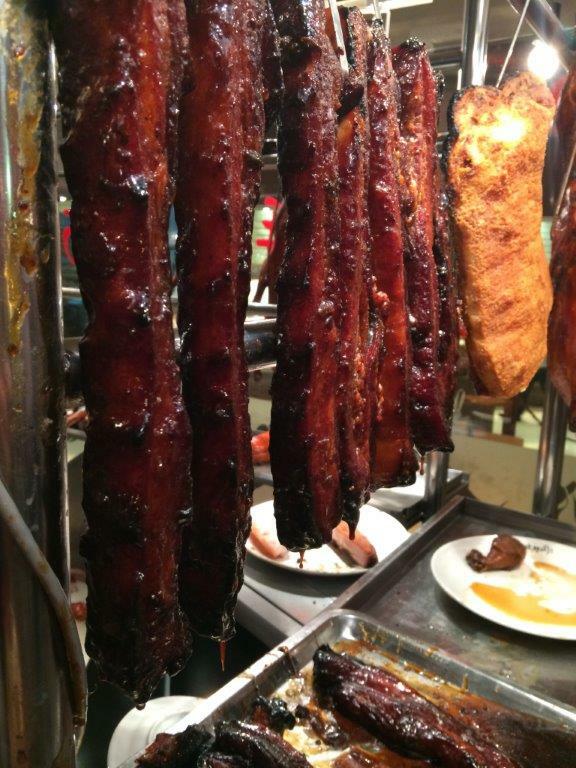 Seriously, the char siew not nice. So eat plain noodles is good enough. 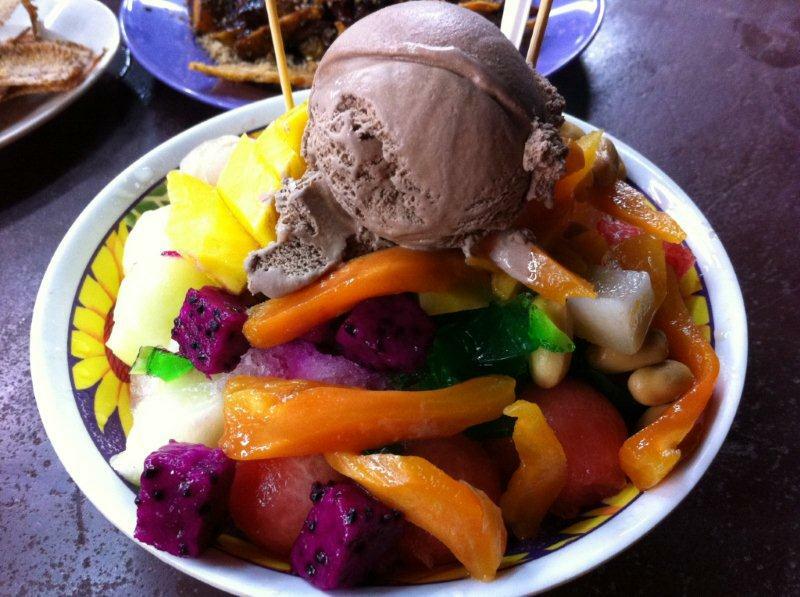 Check out the Fruits On Ice (杂果冰)... Loads of fruits and a scoop of ice cream on top... Ice cream depends on what they get on that day... sometimes, strawberry, sometimes vanilla, etc. RM$4.50. Very worth it. 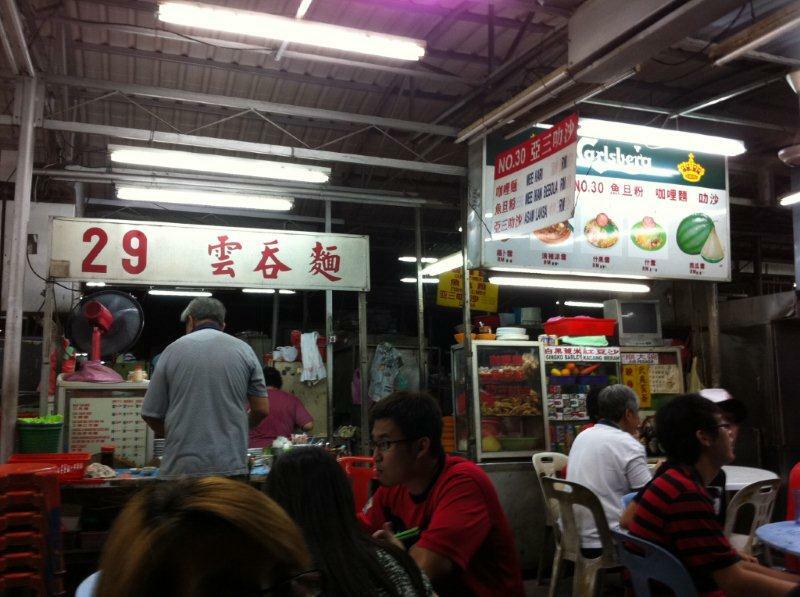 Rojak stall about 2 stalls away on the left side. 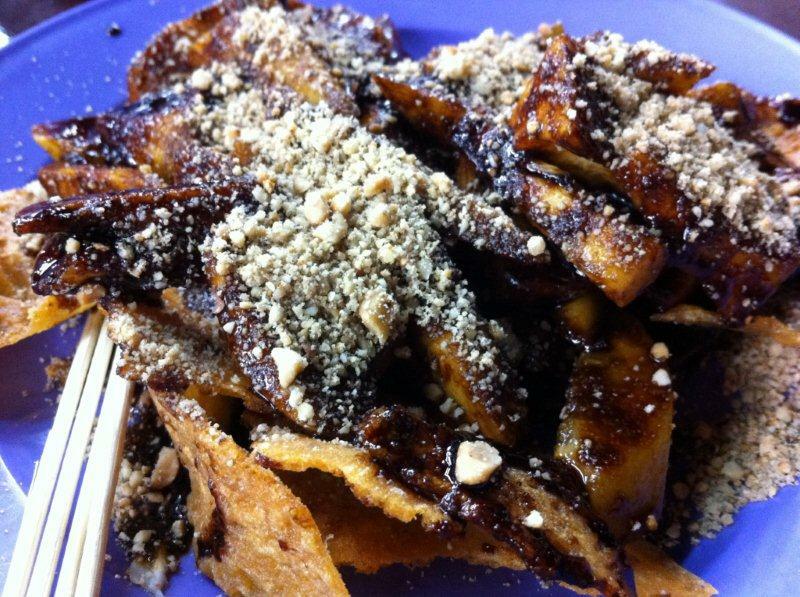 Rojak with prawn crackers... awesome! RM$3 or 4 only. Rating: 5/5. You can have a very satisfying meal finishing up with lovely desserts. Nice! Taste: Awesome. Love these authentic local food. 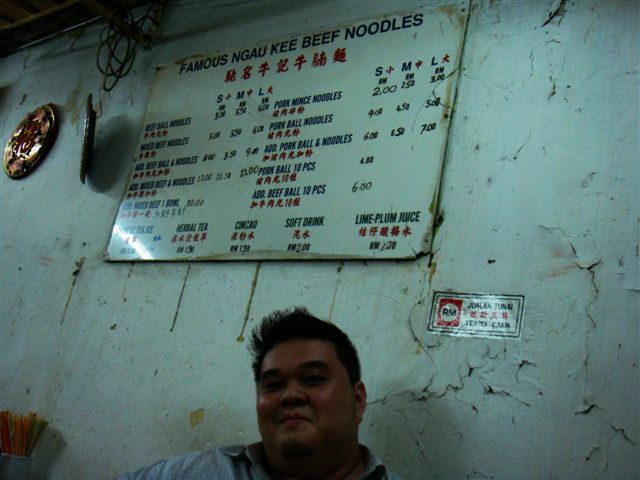 I heard the beef noodle stall towards the end of the row is also damn good. But no more stomach space already lah! Price: Stated on the pics. Location: 糖水街… dunno what road… just tell cab driver. If you’re staying at Excelsior or Syuen Hotel, walking distance about 10 mins. Night time more stalls are open. So go after 7pm. Was in KL for a night and was recommended this place by a friend in KL. 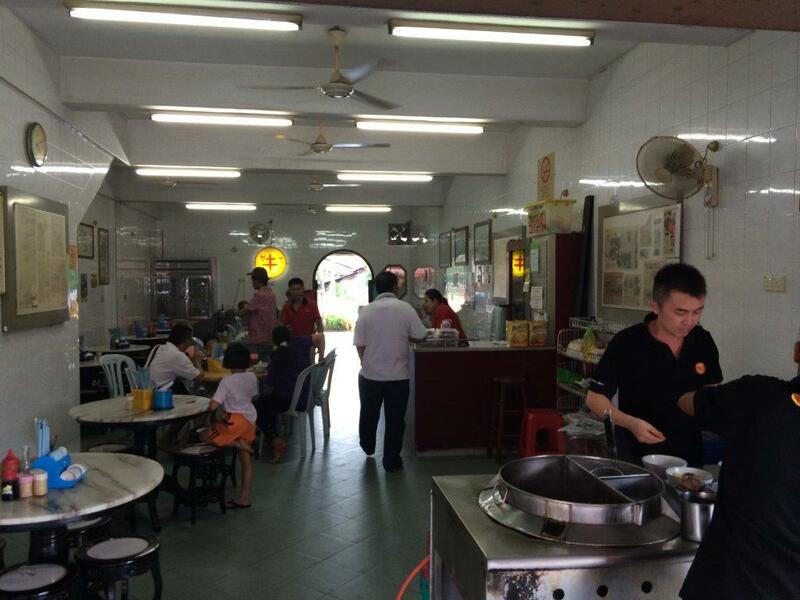 Heard this is a regular joint for supper for most party goers in KL… well at least for the locals. 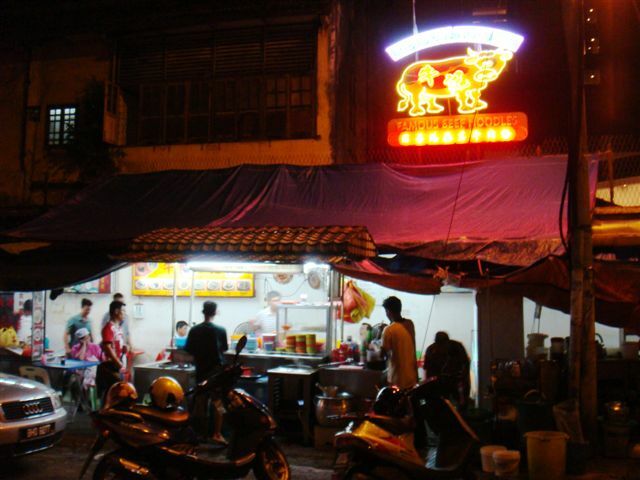 So my friend drove us to the back part of Jalan Alor, which is the famous street for good street food. 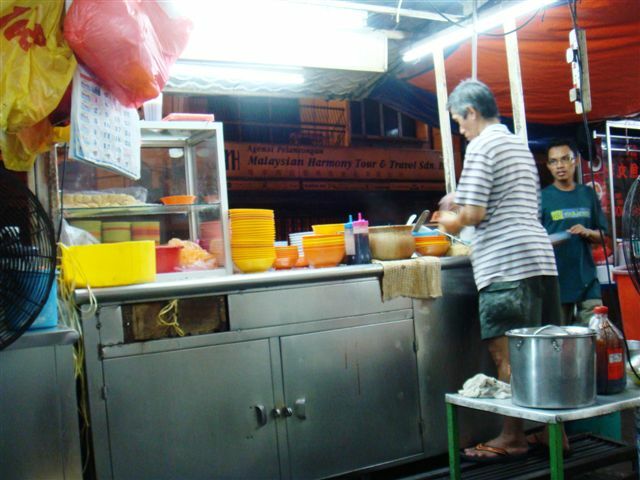 The little stall is located along the small road just behind Hotel Nova vicinity. Problem is trying to find a parking but we were lucky. 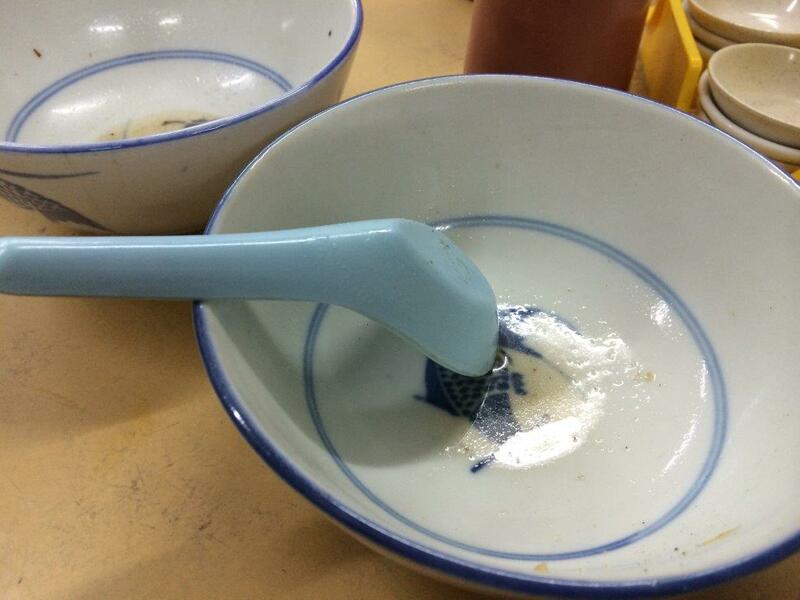 A bowl of soup that comes with the noodles... 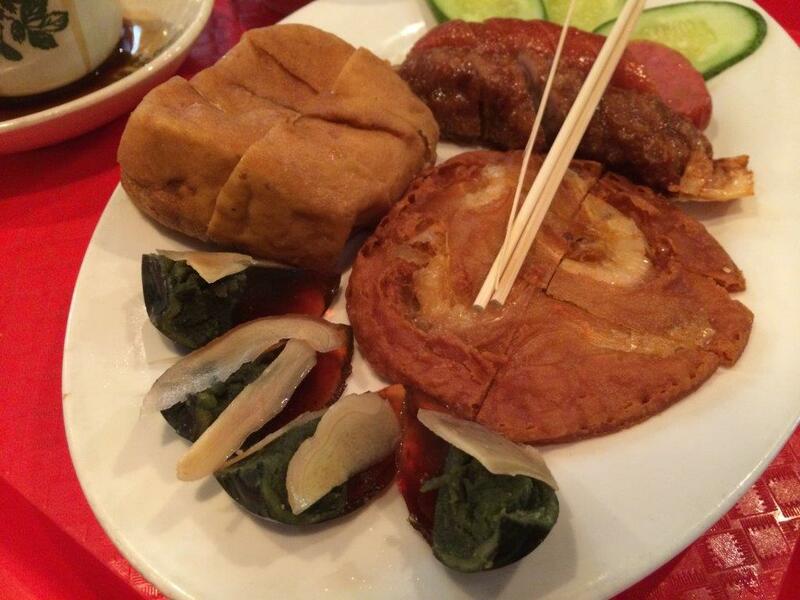 I ordered the mixed one with beef parts. 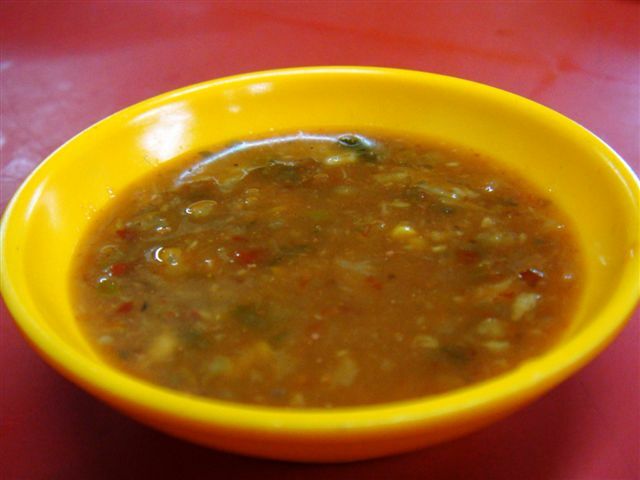 Soup is very clear and nice. Great chilli sauce for dipping the beef balls and parts. Taste: Acquired. 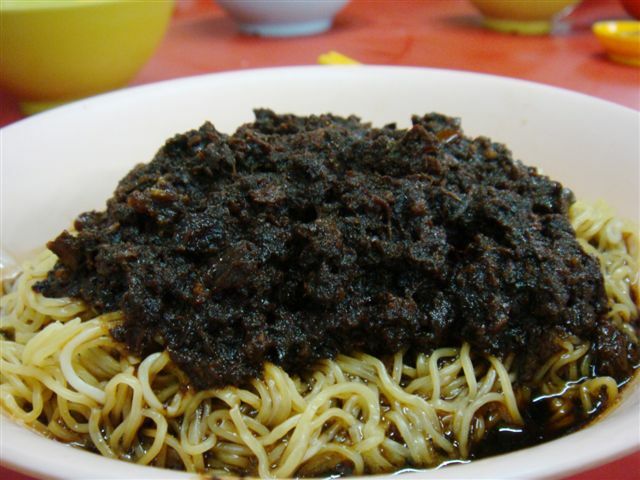 Some people may not like the cowdung-looking lump on top of the noodles and some may not like the herbal taste of that lump of thing. But it was alright for me and this is totally not found in Singapore. Price: Relatively cheap. Good supper item. 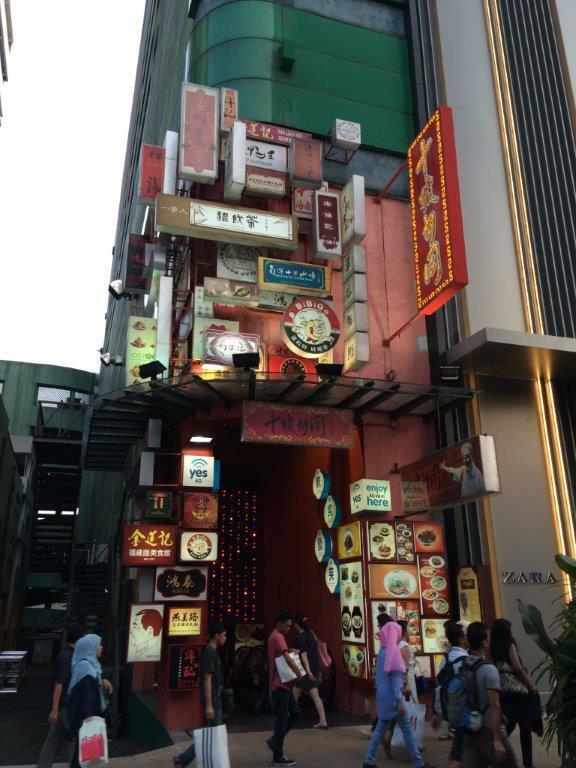 Next time I might choose to stay near Jalan Alor to feature all the food there!